UPDATE: A NEWER FROYO BUILD IS OUT. DOWNLOAD IT HERE. The Froyo build which we saw here and here is finally in the wild and ready for your personal viewing pleasure. Yes that sounded dirty on purpose as I crawled my lazy bones out of bed at 6:30AM on a Saturday, just for you (OK, that’s probably a lie. Who wouldn’t wake up for Froyo?). So what do we have here? 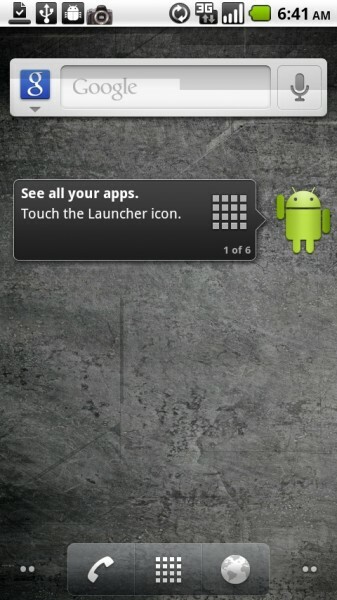 An apparent early 2.2 build for the Motorola Droid. I say early because it appears to have a ton of missing features from the Nexus One Froyo and also has a few bugs. With that said, the MyDroidWorld guys have made it easily installable via nandroid backup in both ClockworkMod and SPRecovery, so anyone with root access can check it out. When you are finished, you will keep root access and your custom recovery, so just make sure to backup your current settings in case something bad happens. This also comes with a custom kernel, so you can overclock to 800Mhz right away. Update: Might have JIT. 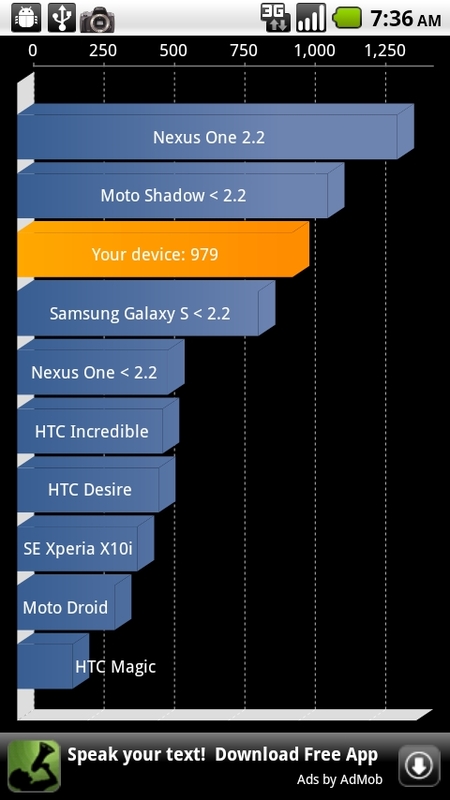 See benchmark below. Update: Gallery works, just took 30 minutes to load photos. *Note 1* – This process uses ClockworkMod Recovery. SPRecovery method/file at source link. 1. Make a backup of your current ROM. 2. Download the P3DF-CW.zip file from above. 6. 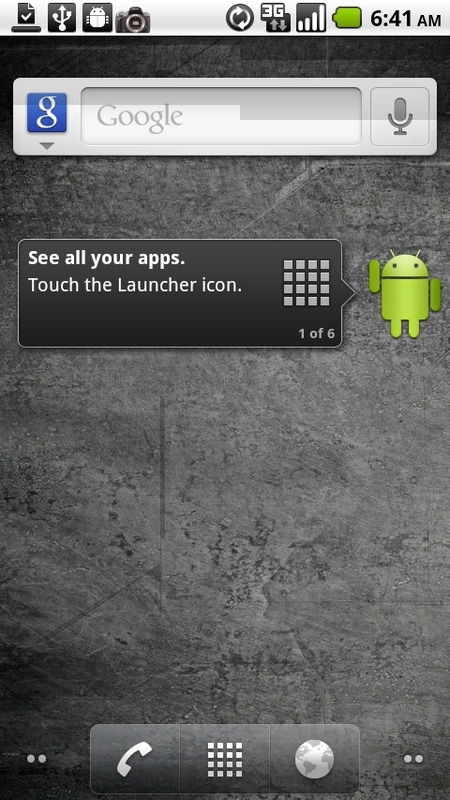 Go to nandroid, select restore, select the above folder and press the camera button. *Note 2* – After installing this nandroid, update the kernel to fix wifi. Kernels here. Update 10:53am: If you used the SPRecovery file and have lost root access, please install this file.